We are developing a new variety of open-pollinated, open source varieties that will be shared through local seed libraries, including the Hall Middle School Seed Lending Library and the Seed Savers' Exchange Members' Exchange. 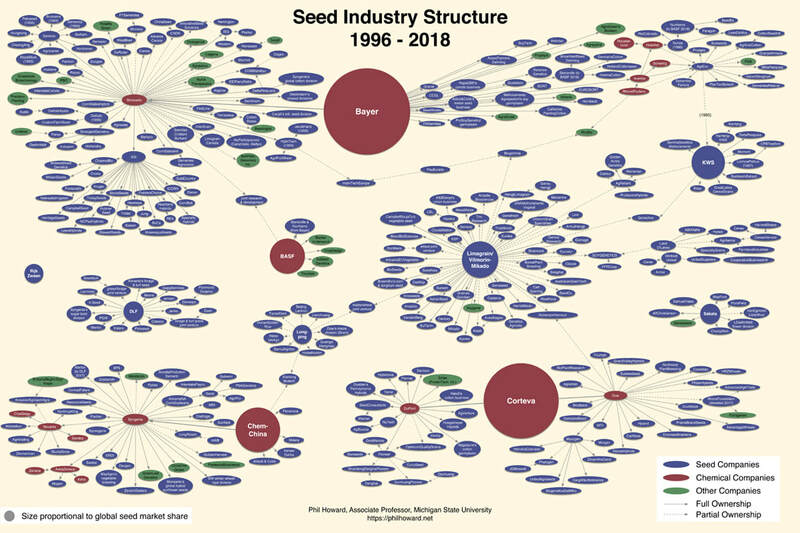 In the last hundred years, thousands of local seed companies that have offered regionally adapted seeds have been lost. Many have been purchased by large chemical companies. ​Lately, even some of those giants, such as Monsanto, have been purchased by other companies such as Bayer. In order to have seeds that are more resilient in a time of changing climate, having locally grown seed that is more diverse will be essential. In 80 years we lost 93% of the varieties. Regionally-adapted varieties are not the focus of large companies with a national customer base. ​Preserving the remaining genetic diversity as well as breeding for local adaptations will be done by home gardeners and in schools. What characteristics do we want to breed for? What makes for a good popcorn? ADAPT - Help Seed Savers Exchange, a seed conservancy nonprofit in the US, dedicated to preserving heirlooms of significance in our country. Trial new varieties and collect data on how well the varieties do in your area. This will help them determine what varieties to offer in their catalog. RENEW - Seed Savers Exchange has lots of varieties in their collection. More than they can grow out. Help them grow out varieties in their collection for the benefit of society. Seed libraries are a way to bring your curriculum to life and engage students to continue exploring the science at home in their own gardens. Create one in your own school garden. Find some varieties that you are willing to steward. One idea is to get a copy of the Seed Trade Census book and look for seeds that are not widely available. Also, see if there are any regional seed companies that specialize in regionally-grown seed. Beware! much of the seed that is sold, even by small companies, is all being grown by the same growers and much of that is coming from China. Seed Savers Exchange also has an members' exchange.